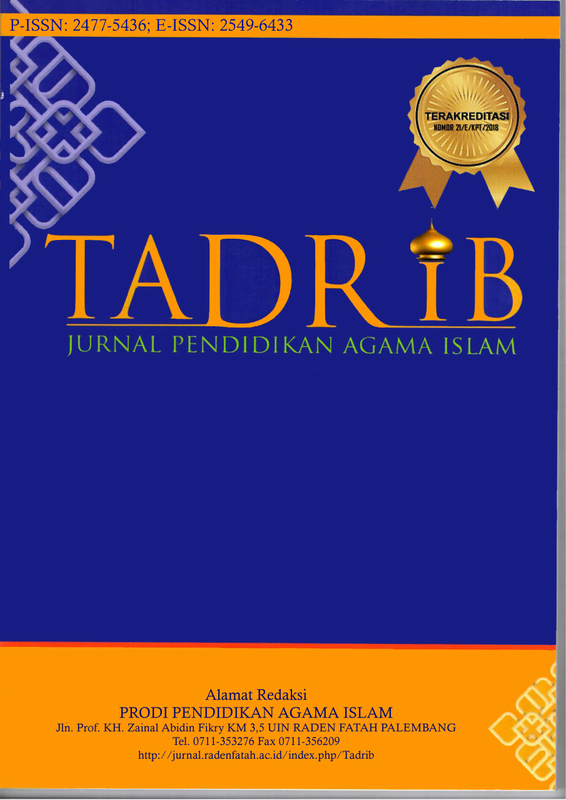 Tadrib: Jurnal Pendidikan Agama Islam (ISSN: 2477-5436; E-ISSN: 2549-6433) is an Islamic Education Journal Article that is published in 2015. This journal article is specified on Islamic Education. It is published by Islamic Education Study Program, Faculty of Teacher Training and Education, Universitas Islam Negeri Raden Fatah Palembang. It is published in printed and electronic form. The organizer invited the lecturers, researchers, collegians, experts and observers of Islamic Education that are interested in publishing their writing. The writings that are sent must be in original script and never been published before.